Are you down with the third season of the World of Dance TV show on NBC? As we all know, the Nielsen ratings typically play a big role in determining whether a TV show like World of Dance is cancelled or renewed for season four. Unfortunately, most of us do not live in Nielsen households. Because many viewers feel frustration when their viewing habits and opinions aren’t considered, we invite you to rate all of the World of Dance season three episodes for us here. 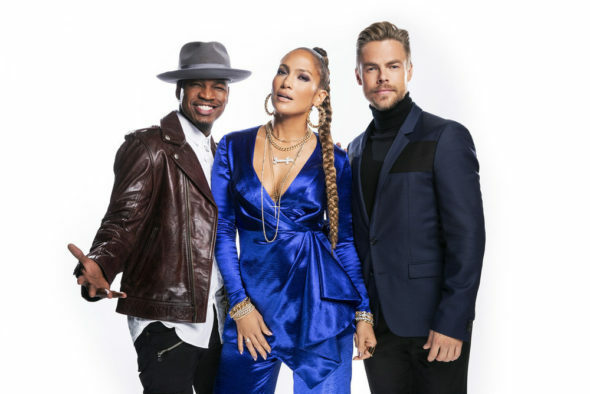 An NBC dance competition, World of Dance is hosted by Scott Evans, with Jennifer Lopez, Derek Hough, and Ne-Yo judging the performances. The series showcases dancers competing for a grand prize of $1,000,000. Elite solo dancers, partners, and full dance crews compete against each other in multiple categories of dance, including hip-hop, tap, ballet, break dancing, ballroom dancing, and stomping. What do you think? Which season three episodes of the World of Dance TV series do you rate as wonderful, terrible, or somewhere between? Should World of Dance be cancelled or renewed for season four on NBC? Don’t forget to vote, and share your thoughts, below.